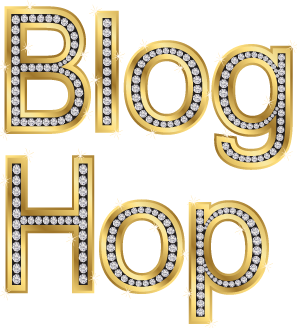 You may just be starting the blog hop or may have come from Christine Ringuette at Down The Aisle Wedding Planning & Design on Natalie’s Blog Hop. If you get off track at any time, the full lineup below will help you move along from blog to blog so you make sure to see and learn from all of the articles featured here today. Today I will ask that you and your fiancé think about your wedding goals. He popped the big question and now you are engaged! First things first! Grab some paper and a pen and your fiancé . Below are a few questions that you will need to consider before making any final decisions regarding purchases and vendors. WHAT ARE YOUR WEDDING GOALS? © Will the ceremony be during the day or at night? Formal or casual? Indoors or outdoors? © Do you want a party atmosphere with a rock band? Or do you see a more traditional affair, with an orchestra at the beginning of the evening and a DJ later on? © Is the reception going to offer a buffet and passed hors d’oeuvres, or will there be a seated luncheon or dinner? © What kind of wedding party do you envision? Bridesmaids/Groomsmen? Or do you envision just you and your significant other standing at the altar? © How do you see the wedding weekend progressing? Is it just about the ceremony & reception, or is it about enjoying time with your family and friends? © Will there be parties and events throughout the weekend? Bridal Shower, Bachelor/Bachelorette party, rehearsal dinner, post-wedding brunch? When answering the above questions, be open-minded and honest. Be sure to listen to your partner and respect their thoughts. Once your wedding goals are aligned, it is time to set your wedding budget! The next stop is Ashley Rae at Ashley Rae Events on Natalie’s Blog Hop! Thanks for visiting and I hope to see you again next month!